The U.S. Air Force is executing military-related construction projects across Europe as part of the European Deterrence Initiative. CAMPIA TURZII, Romania — The U.S. Air Force has plans in motion to spend almost $40 million on new construction and base improvements at Romania’s 71st Air Base in Campia Turzii to make it more hospitable for visiting U.S. combat squadrons. The service will be able to launch a greater number of jets, repair more of them poor weather conditions, and have the ability to safely store additional fuel and weapons as a result of the improvements — all things that are critical as the U.S. and Romanian air forces train together on base, but even more important in a potential future war where the U.S. Air Force deploys to Romania to launch sorties and help protect one of its NATO allies. In short, it amounts to improved readiness, said Gen. Tod Wolters, commander of U.S. Air Forces Europe. “We want to make sure that our soldiers, sailors, airmen and Marines are in a position to where they can be quicker and faster and sharper and stronger than their predecessors,” he told Defense News in a July interview. The U.S. Air Force is quietly ramping up investments that will enable it to deploy to allied bases in Eastern Europe and operate close to Russia’s western flank. The Defense Department doesn’t maintain a permanent base at Campia Turzii, but in recent years, the Air Force has temporarily stationed F-15 and A-10 aircraft at the location to increase training and cooperation with the Romanians. Most recently, 12 F-15C/D Eagles and almost 300 airmen from the 131st Expeditionary Fighter Squadron were based there this summer. The $40 million construction bill includes items from fiscal years 2015 to 2019 and would be paid with Defense Department funds specially designated to deter Russian aggression, formerly known as the European Reassurance Initiative and now called the European Deterrence Initiative. Almost $25 million of that $40 million sum will be spent on infrastructure to directly enable mission planning and flight operations, according to a USAFE PowerPoint presentation on construction projects that was obtained by Defense News. The Air Force has already spent $5 million to repaint, repair and reseal one runway, as well as $950,000 on a new hangar that could be used to house drones like the MQ-9 Reaper. But even bigger changes are on the way. One section of Campia Turzii currently housing a number of aircraft shelters and a maintenance apron will be massively expanded by the end of the summer of 2019, with the addition of a hangar capable of fitting an F-15 or A-10, and an extended aircraft ramp that can will enable 12 F-15s to be parked outside. Nearby those facilities, the service plans to build a new squadron operation facility for $3.4 million with briefing rooms and offices for medical and life-support personnel. 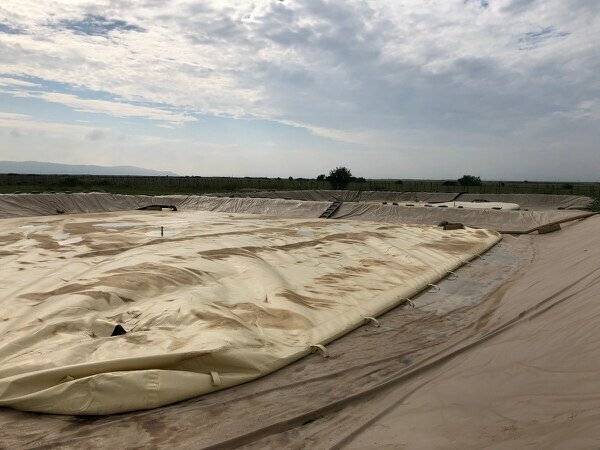 “On any airfield, concrete helps you in every way possible,” said Maj. Cosmin Tanase, the Romanian military’s chief of the coordination support office at the 71st Air Base. The office leads planning and cooperation with the U.S. military. “You can rearrange your stuff, have more aircraft coming, make sure the movement on the aircraft is safer,” Tanase added. The service is planning to have two other projects wrapped up by the end of the summer of 2019. First, it will invest $2.1 million to upgrade a trim pad to meet NATO requirements. The Air Force straps down aircraft to a trim pad to keep them safely in place during maintenance processes like engine checks, and the improvements sought by the service include new aircraft anchors, blast deflectors and concrete repair. The service also plans to spend $900,000 to build a cargo ramp that will be able to accommodate at least one C-5 or two C-17s on base. Brig. Gen. Roy Agustin broke down how the Air Force could use deployable air bases in the near future. The Air Force is spending $9.3 million to increase its capacity to store fuel and weapons on base, starting with a $2.9 million investment in FY19 that will the allow the service to stockpile 400,000 liters of fuel and create parking for fuel trucks. Currently, when the U.S. Air Force deploys to the 71st Air Base, it stores its fuel in flexible bladders that look like giant water beds. But those bladders are more likely than metal containers to become damaged, and they had to be replaced in May after being chewed by rats, Tanase said. The service also intends to increase its fuel-storage capability by building facilities that would hold 1 million gallons of fuel at NATO standards as well as creating a pipeline that extends to the railhead. It requested $3.4 million for the project in FY19; the service was unable to start construction in the spring of 2018 as originally projected. Boosting the amount of storage for munitions is also a priority. 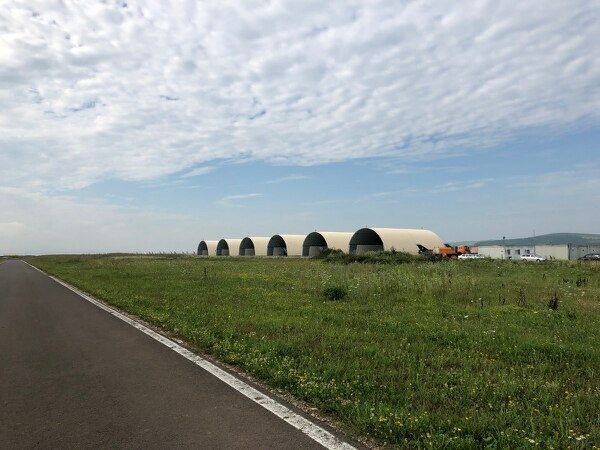 The service is set to begin construction on two munitions igloos, as well as creating a road that will link the new facilities to the main thoroughfare on base, according to budget documents. That project, expected to cost $3 million, is set to be finished as early as summer 2019. The U.S. Air Force has already spent $900,000 to construct a paved perimeter road that allows for better access to the flight line and reduces the debris associated with gravel roads. 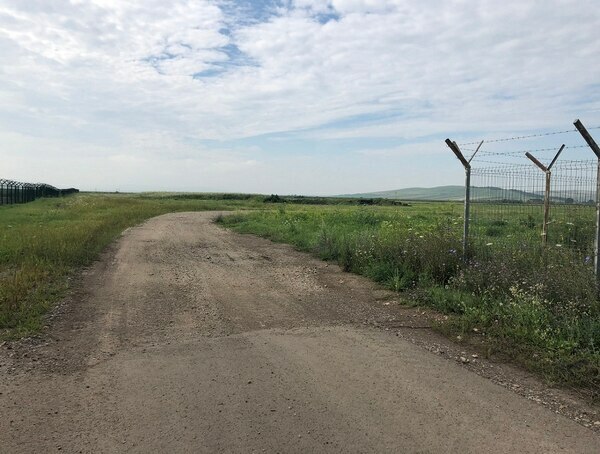 That improvement not only aids in U.S. flight operations when it is deployed to Campia Turzii, but was also a welcome development for the Romanian Air Force, which, on occasion, would have to drive vehicles on the taxiways because other roadways were in poor condition, Tanase said. “That was a safety issue that was solved by having that road,” he said. The Air Force is set to start on two new upgrades this year. It will spend $2.1 million to install new lighting on the airfield and repair existing lights. It also plans to start building augmented electrical infrastructure, which will give a boost in power generation to support future projects, USAFE documents state.